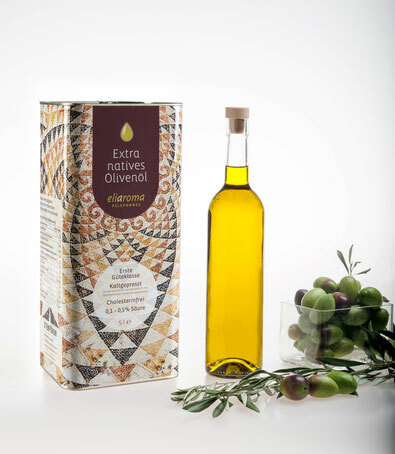 eliaroma, the premium quality extra virgin olive oil, originating from the Peloponnese region of Greece, is obtained by cold extraction and directly from olives exclusively by mechanical means. Our olive oil lives up to its name "eliaroma", in which it persuades of its intense taste and aroma. Convince yourself of the gourmet olive oil with a low acid content of 0.1-0.5%.